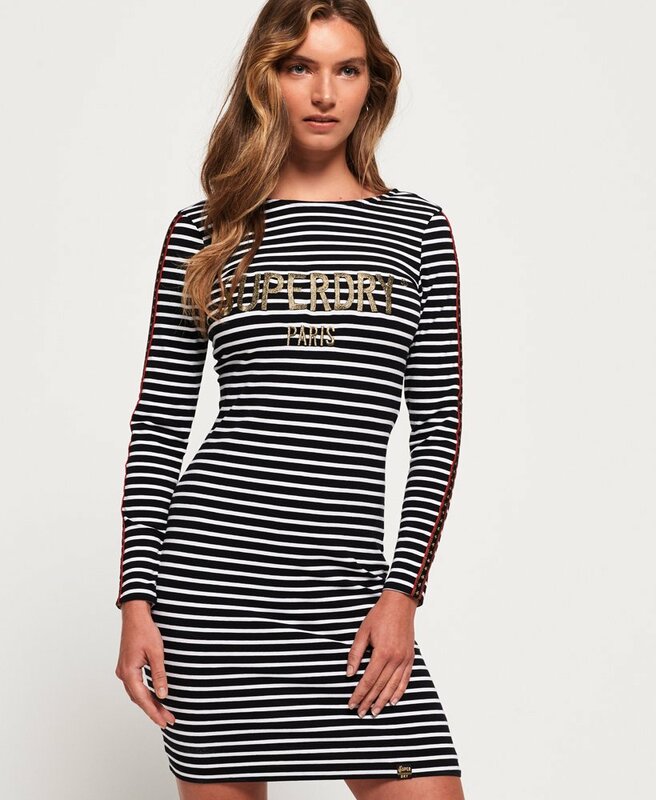 Superdry women’s Lizzie mini dress. Perfect for this season, seamlessly blending comfort and style. The Lizzie features a flattering crew neckline with a low scoop back and an embossed Superdry logo across the chest. This dress has been finished with star glitter panels down the sleeves and a Superdry tab on the hem. Dress Lizzie up from a day to night look with heels and a clutch.